Published: April 10, 2019 11:17 Mythily Ramachandran, Special to tabloid! 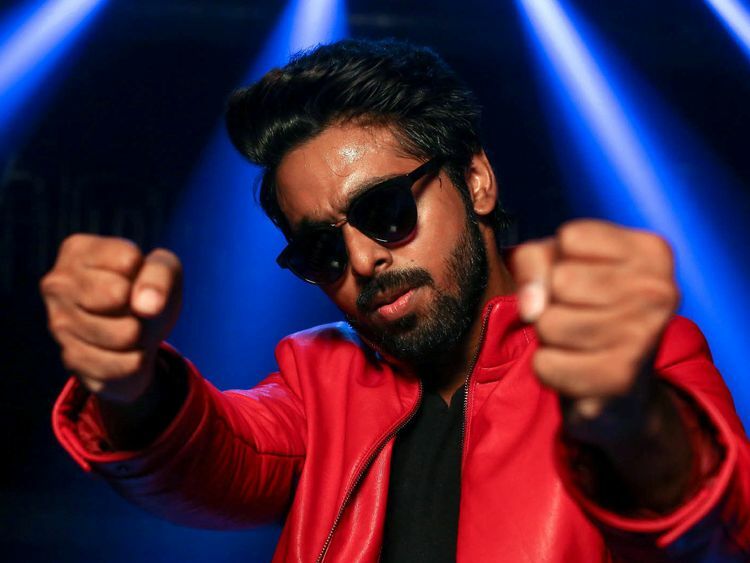 After ‘Kuppathu Raja’, music composer and actor GV Prakash returns to the box office with another interesting role in upcoming Tamil film, ‘Watchman’. Touted as a thriller, this family entertainer by director AL Vijay is centred around a dog. The trailer reveals Bruno, a golden retriever, on a rescue mission to save his master. Prakash has earlier worked with director Vijay as music composer for his films ‘Madarasapattinam’, ‘Deiva Thirumagal’, ‘Thalaiva’ and ‘Thaandavam’. Kannada actress Samyuktha Hegde marks her Tamil cinema debut in a role opposite Prakash. The supporting cast includes Telugu veteran actor Suman, comedian Yogi Babu and Bollywood’s Raj Arjun (of ‘Secret Superstar’ fame). Suman who shares screen space with Prakash appreciated director Vijay’s filmmaking style and said that ‘Watchman’ is at par with Hollywood standards. Raj Arjun added that there are few dialogues in the story but the impact will be strong. ‘Watchman’ is produced by Arunmozhi Manickam’s Double Meaning Production.